We offer our all-inclusive tour packages with options from 3- to 8-day stays. Flights to St. Paul Island are operated by Ravn Air Group, which is owned by Corvus Aviation. This route is serviced by DeHavilland Dash 8-100 twin-engine, turboprop aircraft seating 25 passengers. Each flight is staffed with a flight attendant, is lavatory-equipped and provides snack and beverage service. The flight time to St. Paul Island is approximately three to four hours. Guests booking our tour can arrange their own flights through Ravn Alaska’s website, flyravn.com, or by calling Ravn Central Reservations at 800-866-8394 (toll-free for out-of-state numbers) or 907-266-8394. 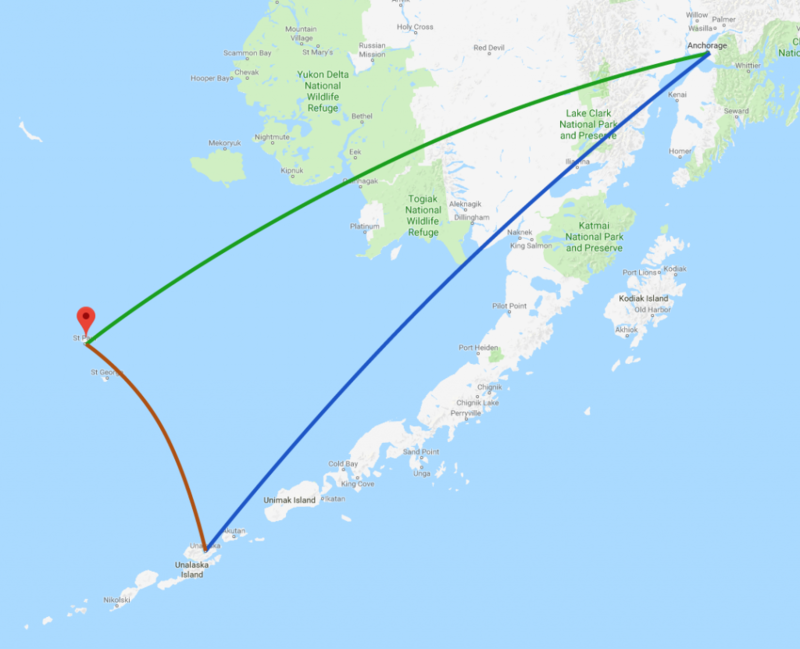 If you are outside Alaska, you can book a flight with Alaska Airlines direct to St Paul from the Lower 48, or travelers can book with Alaska Airlines to Dutch Harbor and connect from there to St. Paul with one of three weekly flights operated by Grant Aviation. We are happy to answer any questions you might have or help you with group travel planning and coordination. We recommend that you arrive in Anchorage one day prior to your scheduled departure and allow one or preferably two days on your return to Anchorage to make any connecting flights. Weather conditions are variable and may result in day or overnight delay for your return.